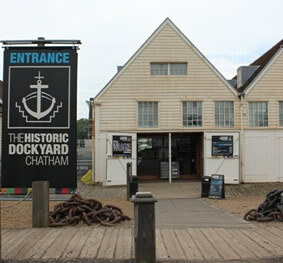 Challenge: Chatham Dockyard wanted to use audio and projection technology to recreate the sights and sounds of a 16th Century dockyard. 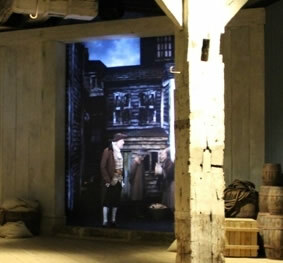 Projection, audio and lighting, and the opening and closing of doors needed to be perfectly synchronised so that each element was triggered at the precise time in the visitor journey. Solution: Sysco Audio Visual installed 17 Optoma projectors into the experience - the 6,000-lumen EW865 projector, 4,500-lumen EW775 and 4,000-lumen EH2060. 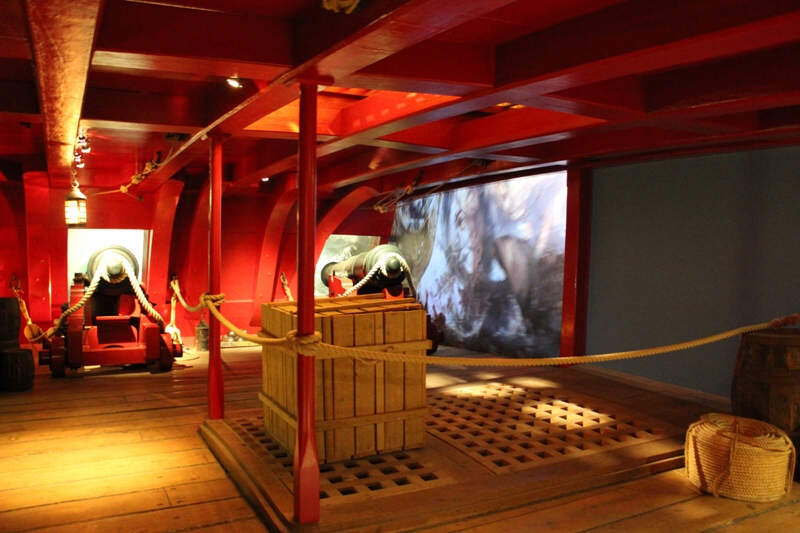 Results: The EW865’s motorised lens shift, focus, zoom and extensive lens options, provided installation flexibility and its ability to be installed 360° on its horizontal axis allowed the team to project onto the floor and ceiling as well as front and rear projection. 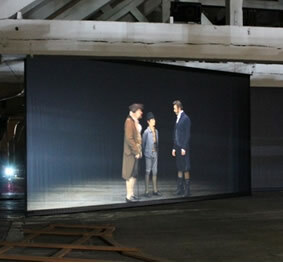 The three projectors are bright and produced the high resolution image quality that was needed. They also integrated perfectly with the control system.